1. | My weekend uniform has consisted of a monochromatic pairing of t-shirt, distressed jeans + heels. 2. | Hanging out at The Zoe Report x Cleobella Malibu House. 4. | Lazy Sunday's + coffee in bed. 5. | Traveled to Boston for my first time + overwhelmed by how charming it is. 6. | Black or white? 7. | Little white dress. Nuff' said. 8. | Summer time means my denim cut off obsession continues. 9. | The view from my last night in Boston over looking the city. Excited to finally share with all of you that I went to Boston to work on another project with Marshalls. I'll be partnering with them all year long and bringing you all of my fab founds! Great photos! 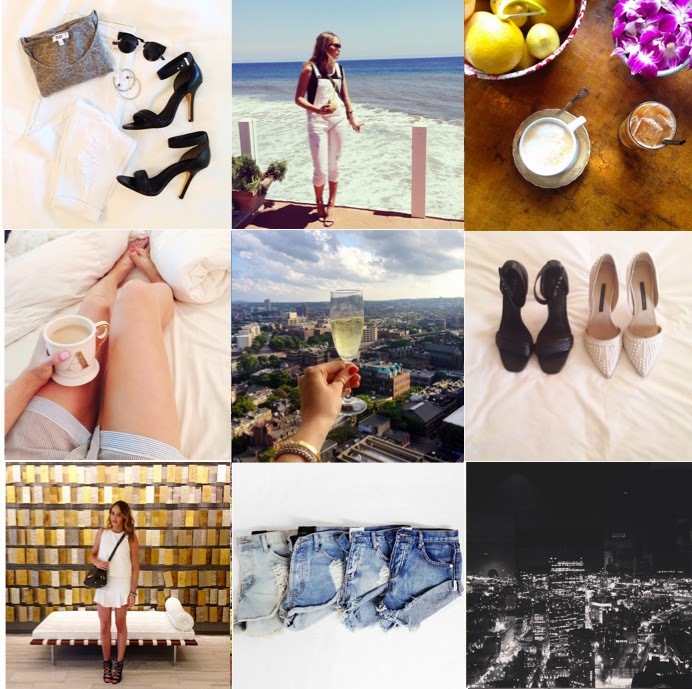 I love following along via Instagram!